There’s no doubt that televisions are evolving at a rapid pace, improving panel sizes and picture quality, while adding richer features that make year-old sets look stale. The Samsung F8000 is a perfect example of this, introducing technology that belongs in the future. This Smart LED TV series, available with 46- to 75-inch panel sizes, is the first of its kind to utilize a quad-core processor, which boosts start-up times and browsing speeds significantly. As for picture quality, Samsung’s Micro Dimming and Precision Black technologies are at hand for maximum clarity and detail. The physique is another feature to admire, owning an incredibly slim bezel and a discrete stand that blends with the set’s beauty. And of course, it wouldn’t be a smart device without interactivity and apps, such as its voice and gesture controls, and a host of Samsung apps and services. The Samsung F8000 is a perfect example of this, introducing technology that belongs in the future. Who says notebooks must tick to one stale form factor? With the Lenovo IdeaPad Yoga 11S, you have four models to choose from: stand, tent, tablet, and the traditional laptop mode. Choose whatever suits your needs, then employ its potent internals. For starters, the notebook-tablet hybrid comes with a third-generation Intel Core i5 processor, up to 8GB of RAM, and large SSD storage to power its fully functional Windows 8 operating system. Adding to the functionality is a multi-touch 11.6-inch HD IPS display with a resolution of 1600 x 900 pixels and a generously sized keyboard. Making the IdeaPad Yoga 11S even more amazing is its pleasantly thin profile which houses all that power. 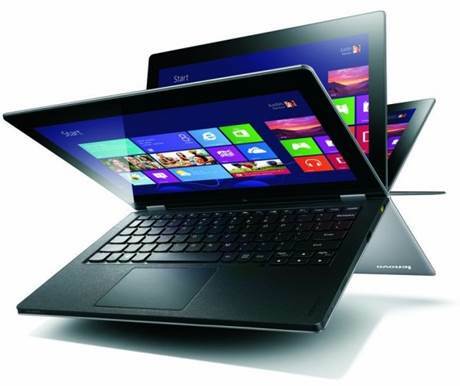 Making the IdeaPad Yoga 11S even more amazing is its pleasantly thin profile which houses all that power. In your hands or underwater, the Sony Xperia Z is out to make a statement – a big one at that. As the latest smartphone to come out of Sony’s labs, this Android Jelly Bean-powered device also happens to be dust- and water-resistant. But those aren’t the only highlights, as this phone is also equipped with a 5-inch display using Sony’s Mobile Bravia engine 2 to render its grand 1080p resolution. Under the hood is a 1.5GHz quad-core processor and LTE connectivity for the best possible speeds. 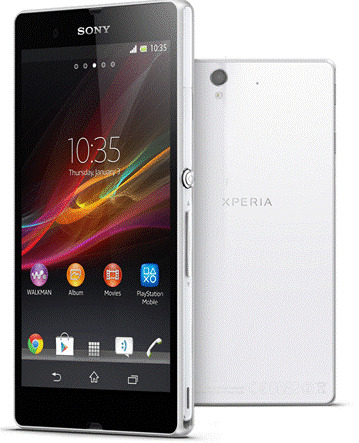 If capturing quick moments is important to you, then you’ll be glad to know that the Xperia Z has an astounding 13-megapixel camera that can also shoot Full HD videos, as well as a handy 2.2-megapixel front-facing camera. With so much going on, it’s easy to forget that it’s only 7.9mm-thin and still manages to hold a hefty 2330mAh battery. In your hands or underwater, the Sony Xperia Z is out to make a statement – a big one at that. The ASUS ROG ARES II may come out in limited quantities, but there’s definitely nothing limited when it comes to its specs. 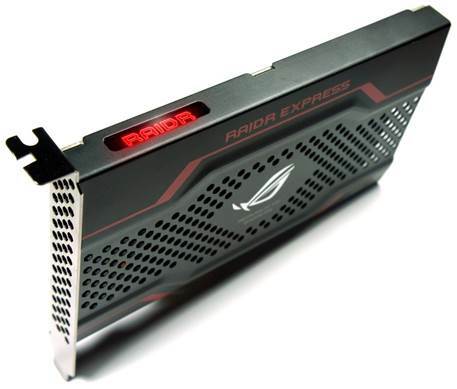 Armed with two AMD Radeon HD 7970 GHz edition GPUs, this beast of a graphics card introduces a new hybrid thermal design that combines liquid and air cooling to keep all its power in check. It also has a substantial amount of GDDR5 video memory at 6GB for incredible amounts of detail at ultra-high resolutions in the latest video games. Prolonging the lifespan of the ROG ARES II is a special 20-phase Super Alloy Power architecture to withstand heat and stress, along with ASUS DIGI+ VRM digital voltage regulation for more precise overclocking control. The ASUS ROG ARES II may come out in limited quantities, but there’s definitely nothing limited when it comes to its specs. The look may be old-school, but the Fujifilm X100s’s internals certainly standout in the modern age. It is the highly anticipated successor to the well-received x100, and despite the minimal name change, the x100S packs an even more serious punch. This premium compact camera has a 16.3-megapixel x-Trans CMOS sensor similar to that of its higher end siblings, together with on-sensor phase detection for blazing fast autofocus speeds. The new exR Processor II image processor generates photos quicker as well, so you’ll be able to take more shots in less time. To the delight of many, the hybrid electronic viewfinder and fixed 23mm f/2.0 lens have made their comebacks, both of which have been improved for greater viewing, more accurate composing, and easier handling. 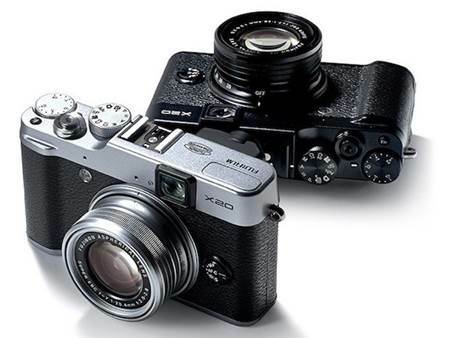 The look may be old-school, but the Fujifilm X100s’s internals certainly standout in the modern age.